Picture this: You manage a Polo Club, and everytime the Argentine Team comes to play, you can count on them starting a three alarm fire in the parking lot! Don't blame them! They're just tailgating, Argentine style! 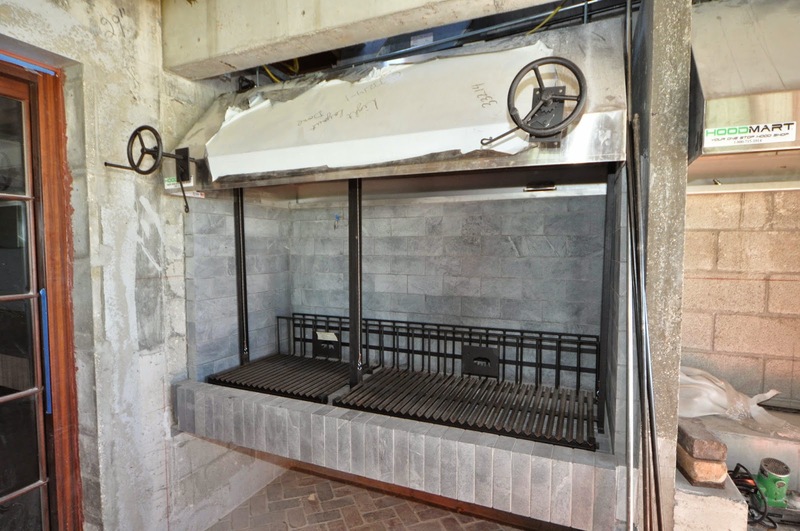 Argentine Grill currently under installation at a Polo Club, somewhere in America. Yes, that's Soapstone!